Hey, everybody! Kai from THE LIST (LAMB #501) here. I’m writing this plug to let you all know that after a year and a half of writing my blog, I officially shut down my site a few weeks ago. As much as I loved writing for THE LIST, I couldn’t quite get it to be everything I wanted it to be. That being a site that could provide content on a daily basis and provide everything a movie blog reader hopes to get out of a site: reviews, movie news, festival coverage, interviews, etc. The site officially launched on May 16th, and since then, we’ve added a stable of awesome new contributors to help make it everything we wanted it to be. 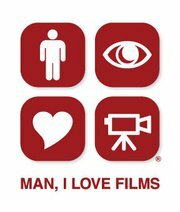 We hope you will all stop by, join in our ongoing movie discussions and, if you feel inclined, throw us up in your blogrolls and add us to your feed readers (swap out your old Blog Cabins and The List links for a Man, I Love Films one!). Also, we’re quite active on Facebook, and our page can be found HERE.